Twenty-five new runways would eliminate most air travel delays in America fifty patent owners are blocking a major drug company from creating a cancer cure 90 percent of our broadcast spectrum sits idle while American cell phone service suffers. These problems have solutions that can jump-start innovation and help save our troubled economy. So, what's holding us back? Michael Heller, a leading authority on property, reveals that while private ownership creates wealth, too much ownership means that everyone loses. 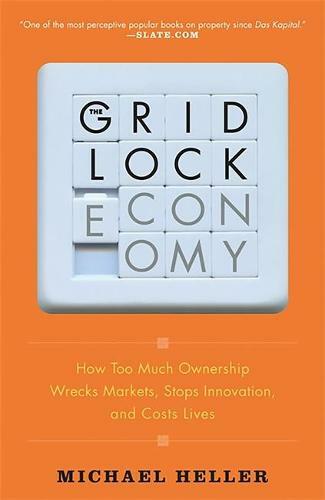 Startling and accessible, The Gridlock Economy offers insights on how we can overcome this preventable paradox.